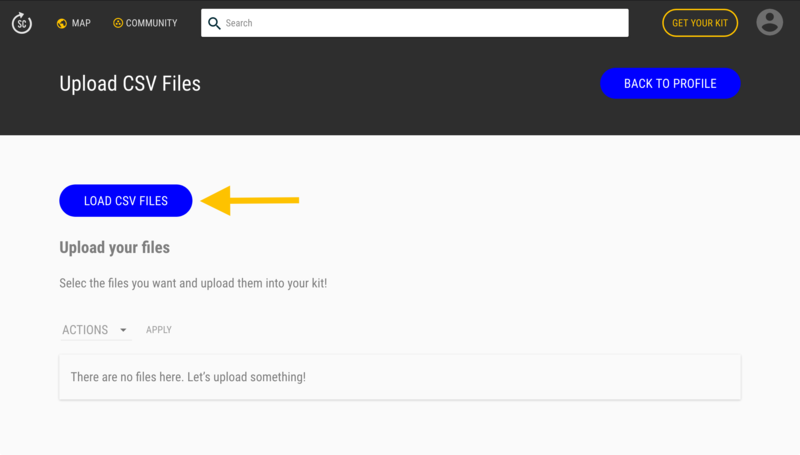 Here some instructions on how to upload CSV files to Smartcitizen platform. 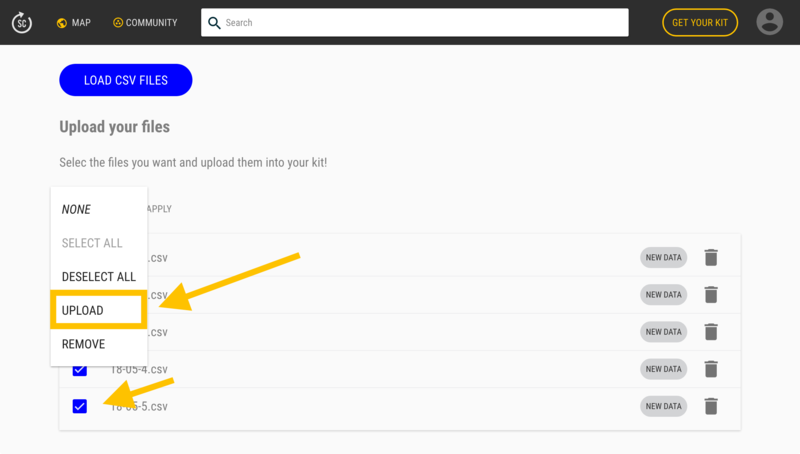 First be sure to be logged and go to your profile. 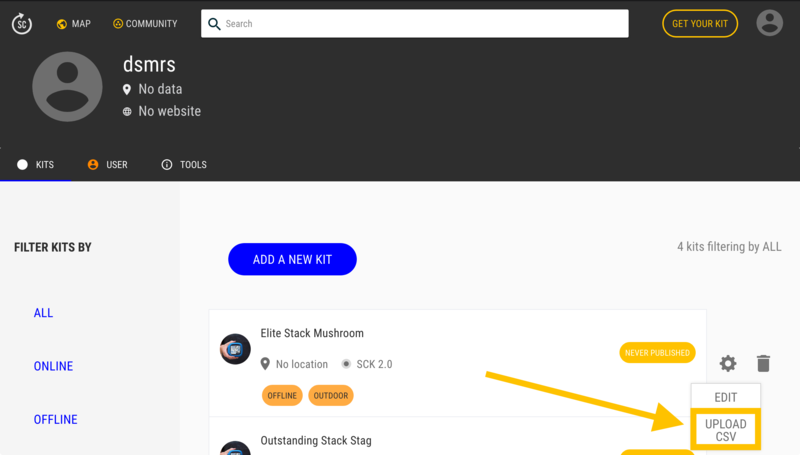 On your kits' list, click on the wheel and then on "Upload CSV". 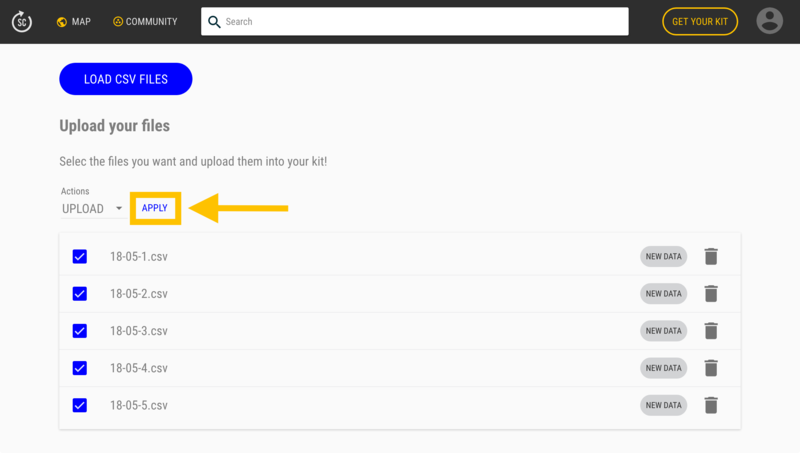 Once on the upload page, you can add some files by clicking on the "Load CSV files" button. Congrats! 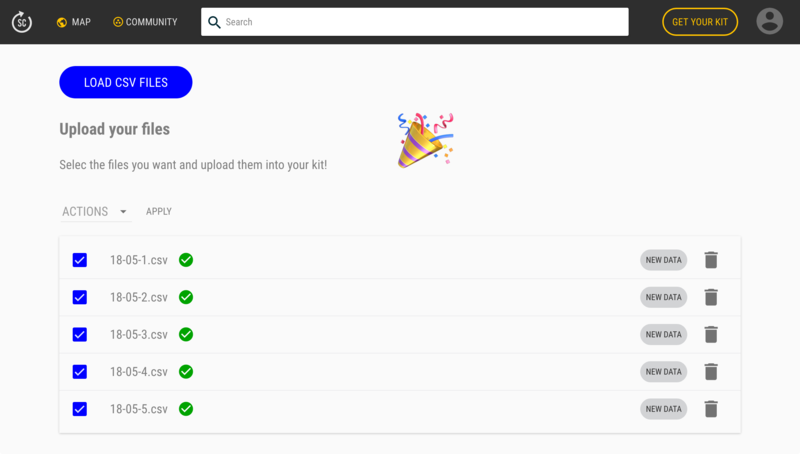 You just uploaded your files CSV files on the Smartcitizen platform.